Our 4th class girls were very lucky to have such a wonderful storyteller visit to their classes on Wednesday. Geraldine Meade grabbed the children's attention and imaginations with her excellent storytelling techniques. She gave the girls a great talk about the importance of writing and reading and continued by giving them a taste of her new book that is yet to be released. The girls were all very involved and engaged in the workshop. 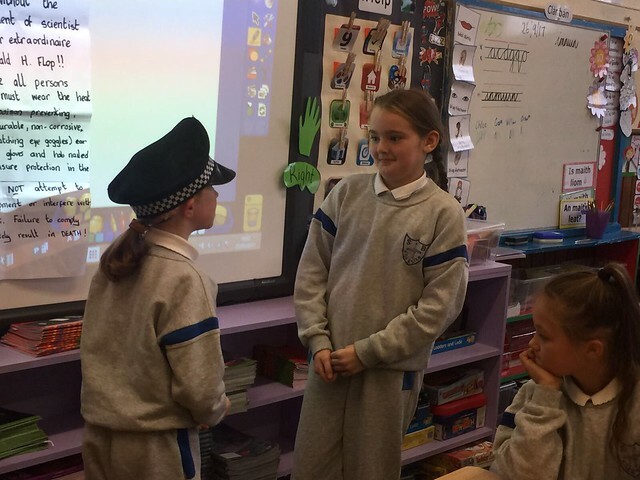 They even had time to get into character and participate in a short role-play. The girls had a lovely morning with Geraldine and we hope to see her to the school again.